'Callum looked out over Reykjavik, its colourful dolls' houses snuggled together, their rooftops so sharp and precise against a blue-screen sky. 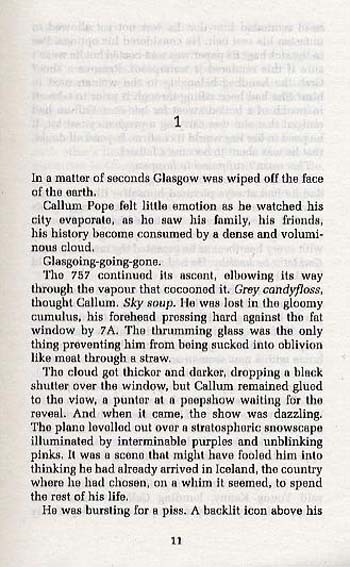 He loved this daft capital, this gale blown toy town with whalebones under its flagstones...' But Callum Pope cannot escape the horrors of his past. 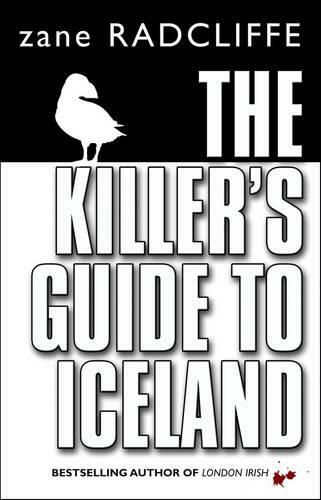 He has fled his native Glasgow to make a fresh start in Iceland with Birna Sveinsdottir, the pretty glaciologist who is slowly thawing his heart. He has moved in with Birna, her indomitable mother (who happens to believe in fairies) and her eleven-year-old daughter - who refuses to believe in Callum. 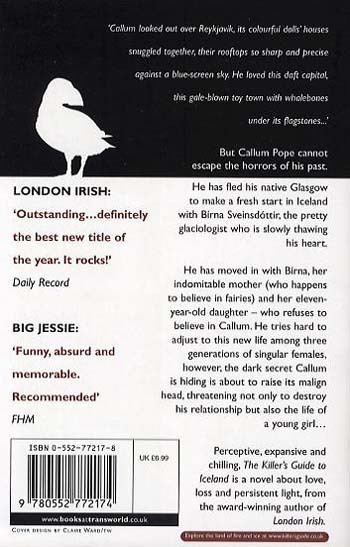 He tries hard to adjust to this new life among three generations of singular females, however, the dark secret Callum is hiding is about to raise its malign head, threatening not only to destroy his relationship but also the life of a young girl... Perceptive, expansive and chilling, The Killer's Guide to Iceland is a novel about love, loss and persistent light, from the award-winning author of London Irish.